ARE YOU IN THE DEFENCE FORCE? 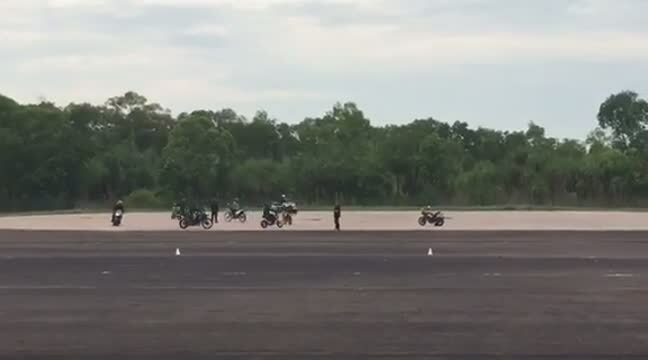 Then ask about the DEFENCE RIDESAFE Program, we together with two other licence providers in the NT have collaborated to form DARWIN BIKE SKILLS JV and have been contracted by the Australian Defence Force to deliver Motorcycle Rider Training (RideSAFE). Providing two levels of training Advanced Skills Level 1 for Learners and Advanced Skills Level 2 for the more proficient rider. Held at the Hidden Valley Raceway, 2.86km of raceway to develop your riding skills, and is suitable for all breeds and models of motorcycle and riders. For more info you can email, call us or ask your superiors about the courses available.